Hirata, 32, has served as the head coach of the Mid-Pacific Institute boys varsity basketball team for the past five seasons, earning the ILH Coach of the Year honors in 2014. The Damien hoops program is on the rise, with back-to-back state title game appearances on the hardwood being lead by coach Alvin Stephenson. Maryknoll Spartans have win their first basketball state crown since 1984 with dominant performance over last years defending champions. 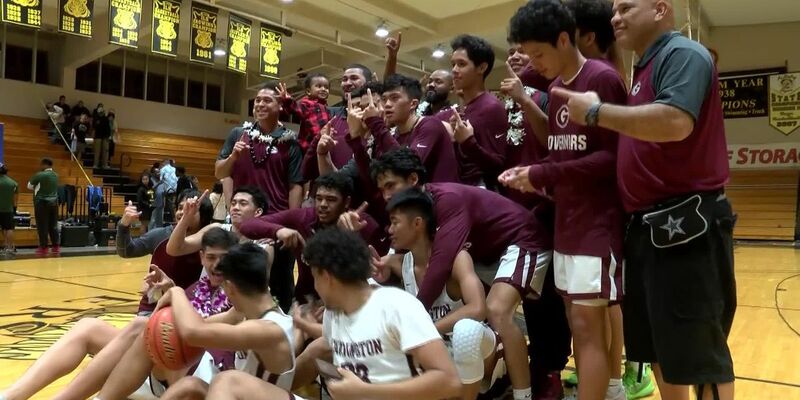 The Damien Monarchs defeated the Farrington Governors 73-50 to win the program’s first ever state basketball title in school history. Leilehua’s Kelani Corbrett won her fourth consecutive state title to become just the fifth girl in state history to win the state crown every year. Punahou dominated in a quarterfinal match-up against the #3 Lahainaluna Lunas 74-54 at Moanalua high school. The Raiders hit timely shots down the stretch to force overtime where they scored 11 points in the extra period, while Moanalua mustered just six. 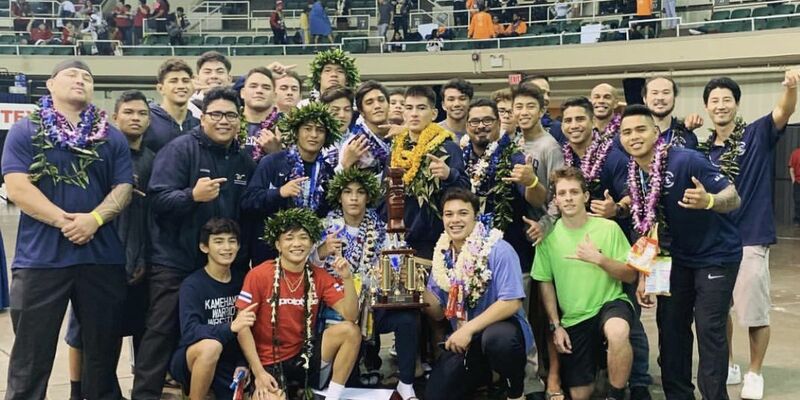 The Texaco HHSAA Wrestling State Championships kick off tomorrow morning at the Blaisdell Arena, and all eyes will be on the states top pound for pound contenders. 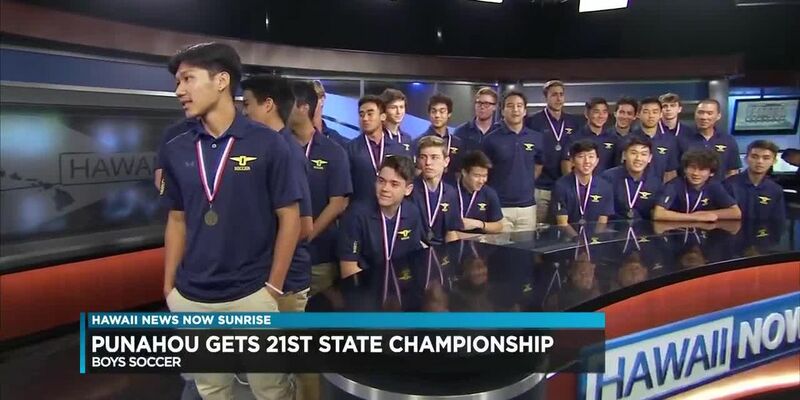 The team joined us on Sunrise to talk about the close game with Kamehameha in the title game and about the season. For the third time in five years the Punahou boys soccer team has emerged as state champs. Ikei took home a gold medal in Austria over the weekend, going undefeated (4-) at 53 kg. She secured wins over Slovenian, German and Polish opposition. Haunga never let the recruiting process get him down, even as he was listed as the 3,012th prospect in the country by 247Sports. Falatea didn’t hesitate once Princeton offered him an opportunity to continue his football career on the collegiate stage. But it wasn’t necessarily football that drew Falatea to Princeton; it was the opportunity to set himself up for life. 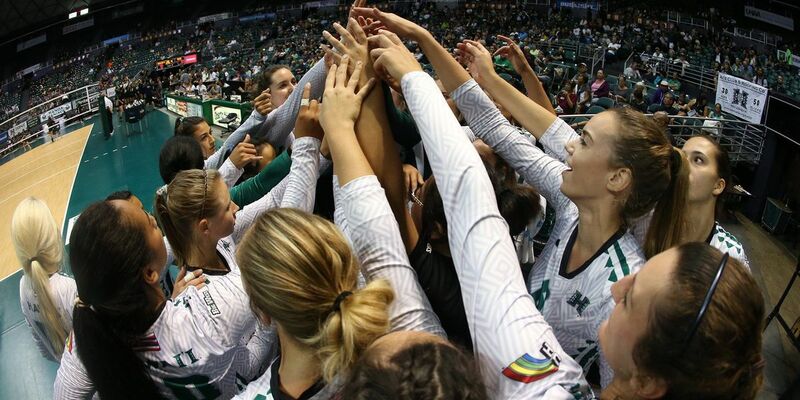 The eight players will bring Hawaii's 2019 recruiting class to 21 after signing 13 players on Early Signing Day back in December. 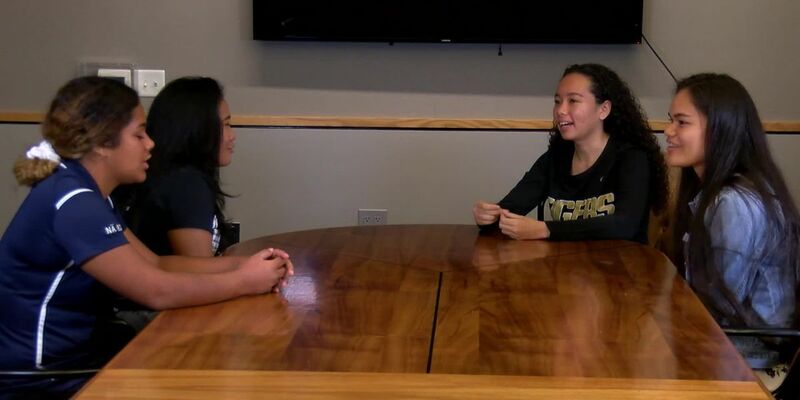 While predominantly a male-driven sport in Hawaii and throughout the country, high school football in the islands have begun to embrace the idea of having girls play on the same field as boys not to make headlines, but because they can play. Kamehameha entered as the heavy favorites and the number 1 overall seed, Warriors Carley Park was named most outstanding player of the tournament. The dynasty looks to be stronger then ever as HPA led the state final matchup from start to finish. On the basketball court number 23 for the Pearl City Chargers looks and plays just like any other player on the hardwood. The third annual Polynesian Bowl was won by Team Makai tonight by a score of 27-7 at Aloha Stadium. 100 of the country’s elite high school football players will represent Team Makai and Team Mauka and will be broadcast live on CBS Sports Network. Polynesian Bowl gives childhood friends last opportunity to play together before college. Instead of trying to convince people that they’re wrong about his skillset, Suliafu simply straps on his helmet, sticks his hand in the ground, bites down on his mouthpiece and showcases violence in the trenches. Today’s visit to Pearl Harbor and the USS Arizona Memorial was a humbling one. And an experience that puts everything in perspective. “I both started and finished my high school career here, so it’s kind of sentimental to me." 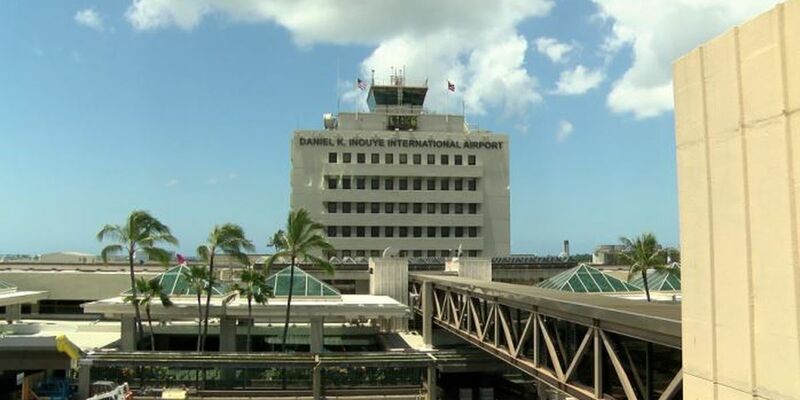 Of the 100 players, 26 of them graduated are currently from high schools on the islands - majority of which are listed as three-, four- and five-star recruits. The stars will be out in force at the 2019 Polynesian Bowl, and tickets to the game are on sale now. The Rainbow Warrior football team secured 13 new commitments from early signees today during the early signing period and continued its mission to defend pride rock. "Choosing (Washington) I think was the best decision that I have made in my life. 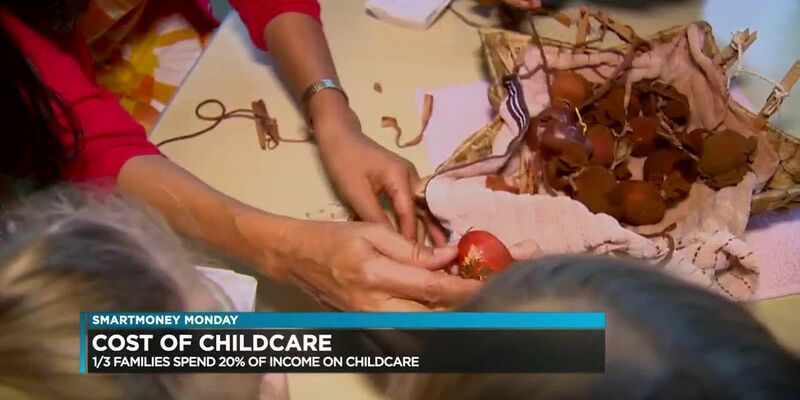 I feel so comfortable and I just feel at home,” he said. Citing family, faith and the right fit for himself and his mother, Paama feels that he found a second home on the west coast. 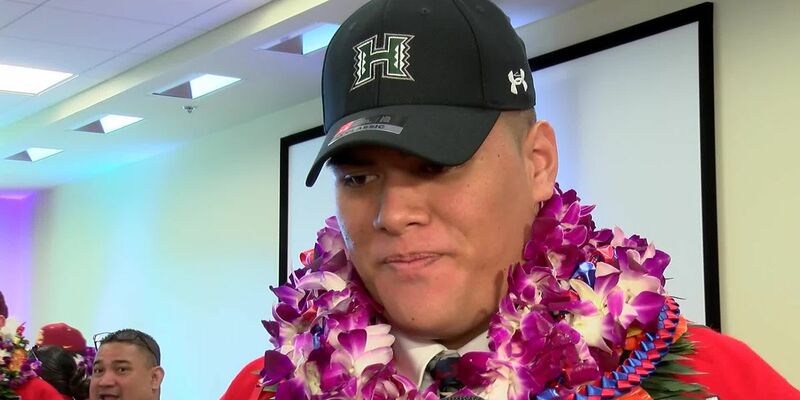 The 2018 Gatorade Hawaii Football Player of the Year officially signed his National Letter of Intent with the Knights this afternoon at his high school’s library. Banzai Pipeline produced yet another epic moment. This year the tournament will be highlighted by Montverde Academy. The team from Florida is currently ranked number 1 in the country according to USA today. The 6-foot, 190-pound senior quarterback threw for 3,754 yards and 38 touchdowns this past season, leading the Trojans (10-3) to the Division I Open state tournament championship game. 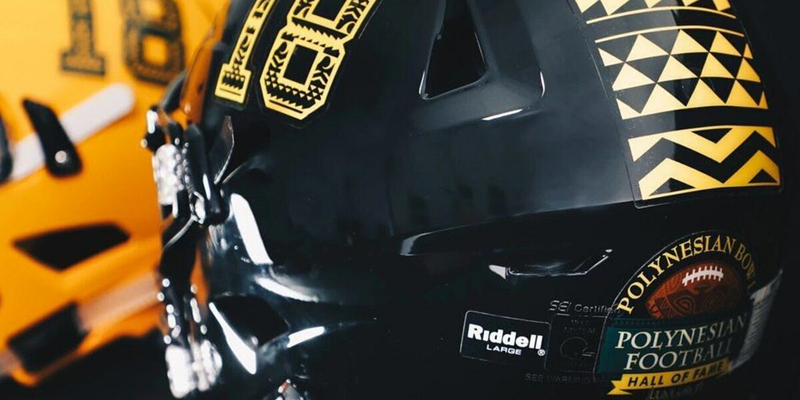 The 2019 Polynesian Bowl just keeps getting better and better. 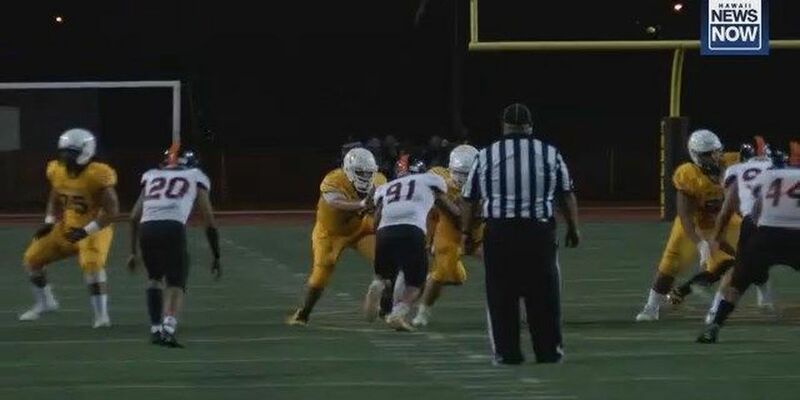 This week’s HI-Five athlete of the week is Kapaa High School kicker Chysen Lagunes-Rapozo. For the third-straight year, the Saint Louis Crusaders are state champions. Waipahu won its first state football championship in school history tonight against defending D-1 champs, Hilo, in an upset 42-22 victory at Aloha Stadium. Lahainaluna pulled off the three-peat in dramatic fashion this afternoon sat Aloha Stadium, coming back from a 26-7 halftime deficit to defeat Kapaa 34-32 in the D-II state title game. The season is coming to an end, culminating in three championship-worthy matchups this Saturday in the First Hawaiian Bank/HHSAA Football State Championships at Aloha Stadium. Hosts Kainoa Carlson and Steve Uyehara break down the state title games happening this weekend at Aloha Stadium, starting with Lahainaluna vs. Kapaa, Hilo vs. Waipahu and Saint Louis vs. Mililani. 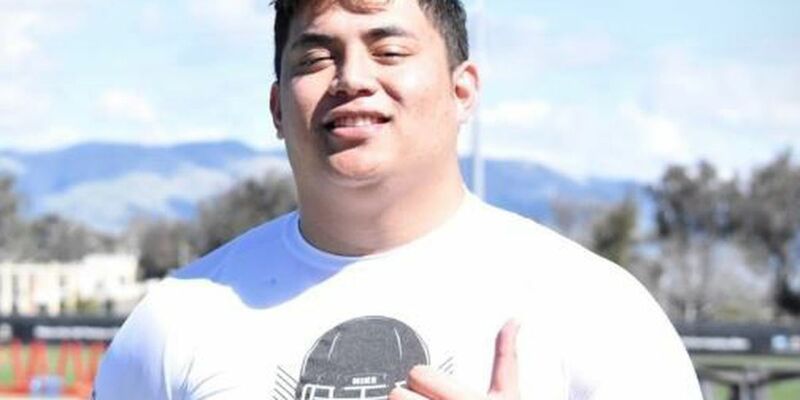 One of the most dominant defensive players in all of high school has made his college commitment.Saint Louis defensive lineman Faatui Tuitele revealed his commitment to the University of Washington on Twitter Sunday night. 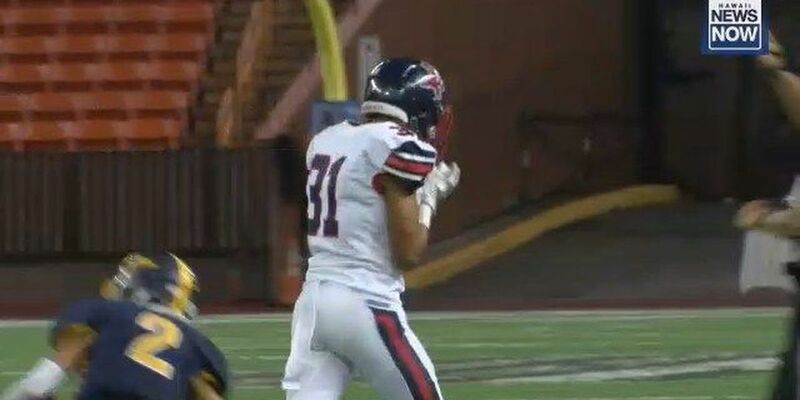 The Saint Louis Crusaders take down Kahuku, 49-22. It’s Friday and that can only mean one thing: Hawaii high school football is back!Hosts Kainoa Carlson and Steve Uyehara break down the games to watch this weekend around the state as the state tournament kicks off. Hosts Kainoa Carlson and David McCracken break down Week 15 of the Hawaii high school football season with highlights and analysis before previewing the ‘Game of the Week’ between Saint Louis vs. Kahuku. In what was hyped up to be a preview of the OIA Open Division title game back in September, Saint Louis took down Kahuku 30-14, in a game that wasn’t as close as the final box score would indicate. But now that it's playoff time, everything changes. 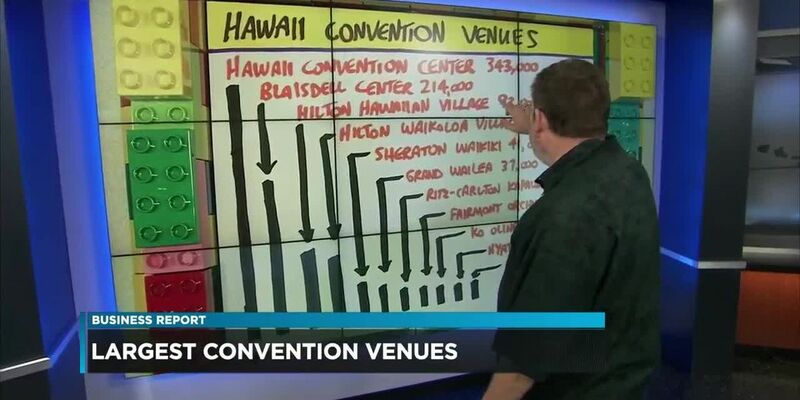 Sixty-nine Hawaii high school student-athletes put their respective pens to paper earlier this morning at the annual Education-1st National Letter of Intent Signing Day Ceremony at thee Hawaii Convention Center. The Cinderella Story for PAC-5 is over as the Wolf Pack lost to Roosevelt 20-7 tonight in the Dii quarterfinal. With the win, the Rough Riders will now advance to take on Lahainaluna on the road in the DII semi finals. It took a second half comeback, but Waipahu took down Iolani tonight 20-19 in a back-and-forth war to set up a DI state title showdown against Hilo. Hosts Kainoa Carlson and David McCracken break down Week 15 of the Hawaii high school football season with highlights and analysis before previewing the ‘Game of the Week’ between Iolani vs. Waipahu. This week’s HI Five Athlete of the Week is Mililani Trojans quarterback Dillon Gabriel.Gabriel led the Trojans to the OIA Open Division title with a 27-7 win over Kahuku, throwing for 374 yards, 3 touchdowns and 2 interceptions. The Kaimuki Bulldogs have one of the smallest roster sizes in the state. The regular season is in the books and kickoff for the 2018 First Hawaiian Bank State Football Championships is set for this Friday. The Polynesian Football Hall of Fame and BODYARMOR Sports Drink have agreed to an exclusive multi-year partnership. Last season in the OIA title game, Mililani fell short in a loss to Kahuku, ending its hopes at an OIA championship. 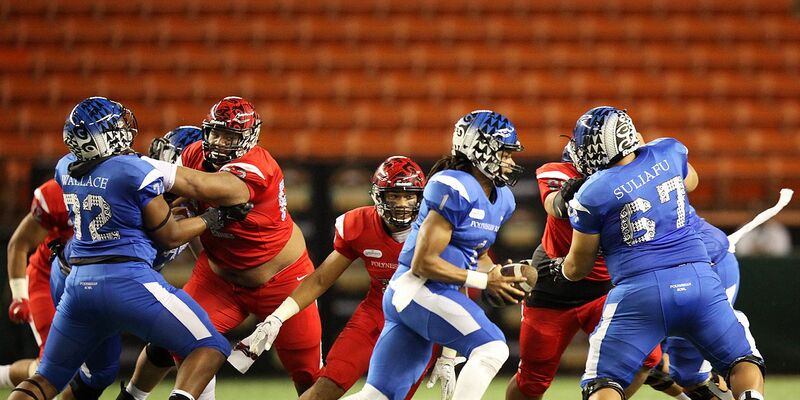 Fast forward a year later, and the Trojans got their revenge over the Red Raiders in an impressive 28-7 victory in the OIA Open Division title game at Aloha Stadium. The Campbell Sabers came to play and took down Farrington High School in the 3rd place game of the OIA Open Division playoffs, winning by a score of 42-26. 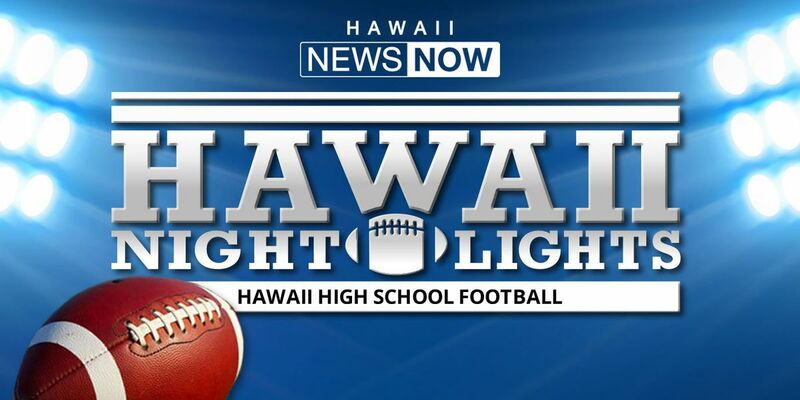 Hosts Kainoa Carlson and David McCracken break down Week 14 of the Hawaii high school football season with highlights and analysis before previewing the ‘Game of the Week’ between Mililani vs. Kahuku. Castle High School’s Cinderella run came to an end tonight in the OIA D-I championship game, losing to Waipahu 32-3 at Aloha Stadium. In the OIA D-II championship game tonight, undefeated Kaimuki lost its first game of the season against Roosevelt, 28-18 at Aloha Stadium. Saint Francis appealed the forfeiture of its varsity football team’s undefeated season due to an ineligible fifth-year senior on the team, but that appeal was denied late Thursday night. In what was Saint Louis' most tightly-contested game so far this season, the Crusaders edged out the 35-28 victory over Punahou tonight at Aloha Stadium. Mililani needed to rebound this week after an embarrassing loss to Punahou last weekend, and the Trojans came up big on Homecoming night with a dominant showing against the Campbell Sabres in a 52-14 victory. 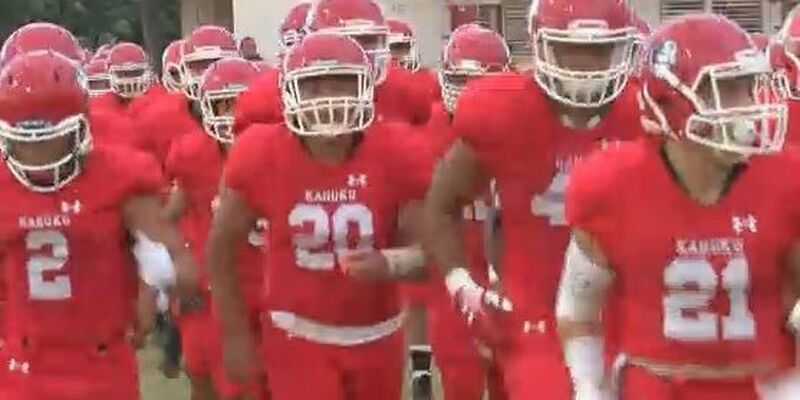 Kahuku didn't need home field advantage Friday night to takedown Kamehameha in an ILH showdown, running through the Warriors 24-7 to go 4-1 on the season. Kamehameha offensive tackle Lokahi Pauole has been selected to participate in the third annual Polynesian Bowl. The 6-foot-3 tackle is a three-star recruit, per 247Sports, and is among one of the state;'s highly-touted recruits on the offensive side of the ball. Saint Louis defensive tackle plays most of high school football games at Aloha Stadium for the Crusaders so it's no surprise that the senior defensive lineman will play his final game there as well. 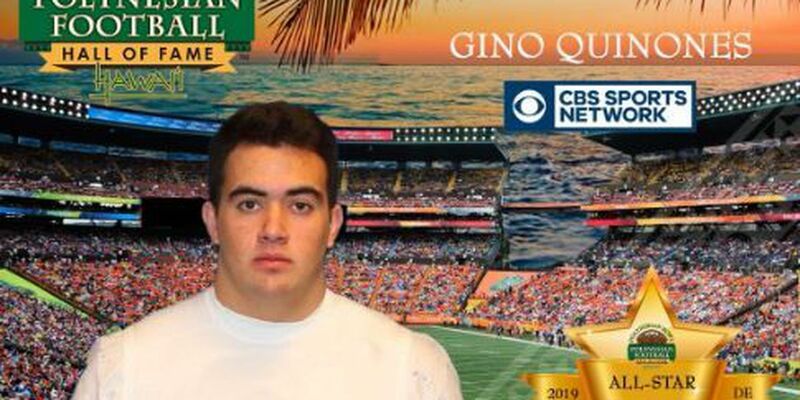 Quinones was selected to play in the 2019 Polynesian Bowl, joining an all-star cast of players from around the country including teammate Faatui Tuitele. 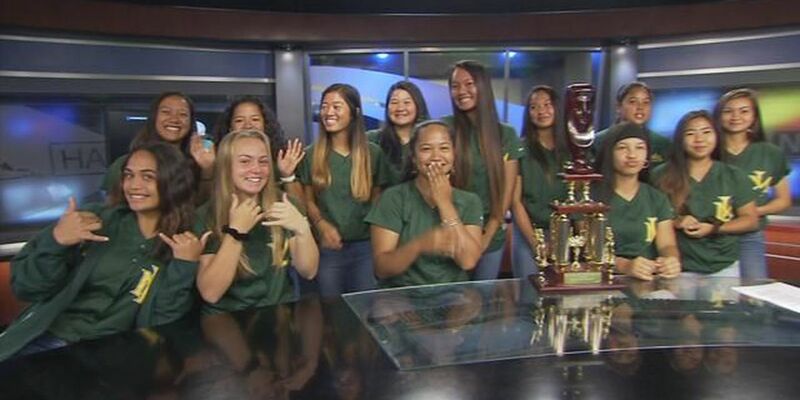 The Leilehua Mules won their first EVER state softball championship earlier this month. They thumped Punahou 14-4 in the championship game despite being unseeded in the tournament. They scored 12.3 runs per game en route to the title. This was also the first year for Leilehua head coach Wendell Au. They joined us this morning on Sunrise. 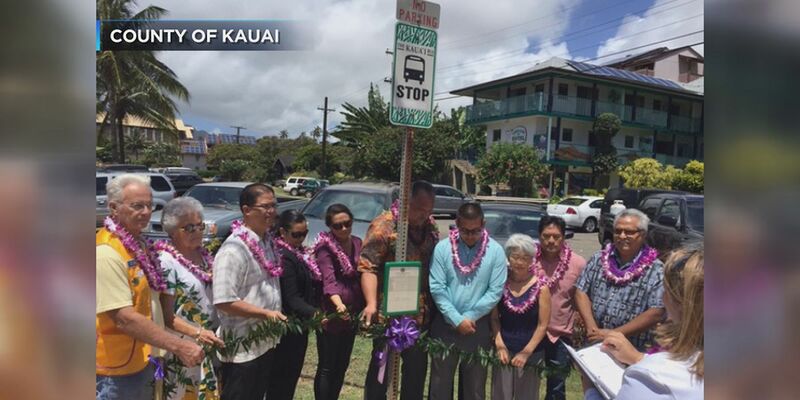 Copyright 2018 Hawaii News Now. All rights reserved. 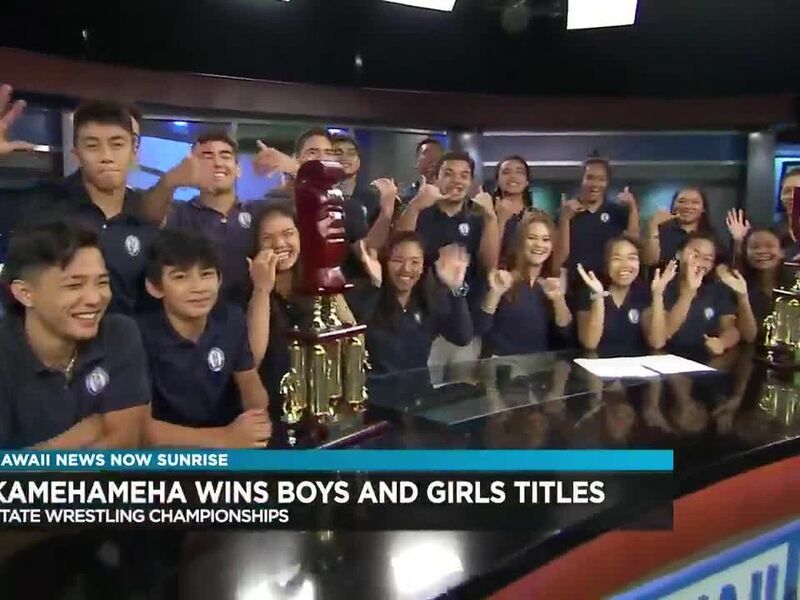 Kamehameha Schools Surf Team won the 2018 State Championships. 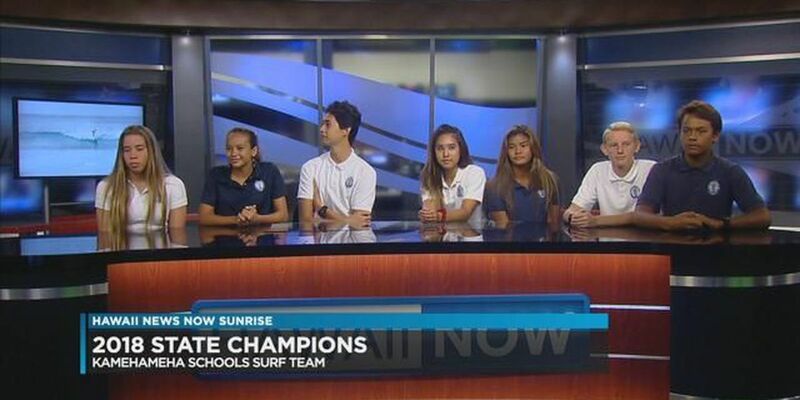 Now the Warriors are headed to the National Scholastic of Surfing Association (NSSA) Championship. This morning they joined us. 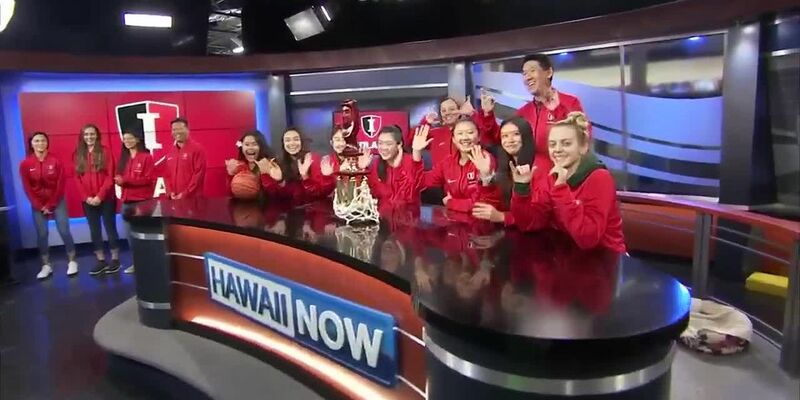 We spoke to head coach Dane Fujiwara, coach Daniel Ito, and team captain Julian Williams. 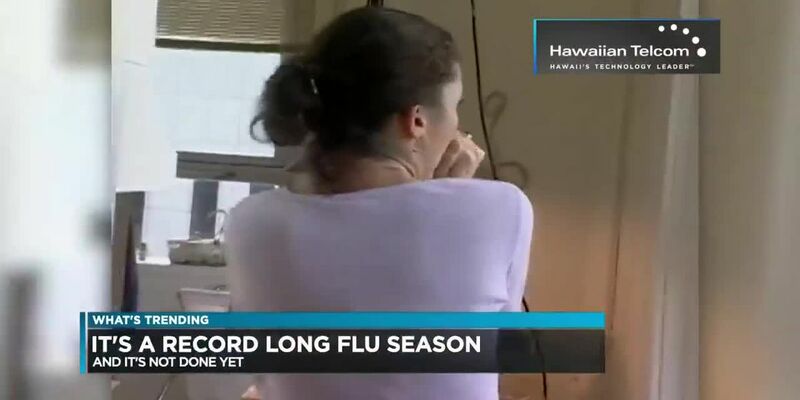 Copyright 2018 Hawaii News Now. All rights reserved. 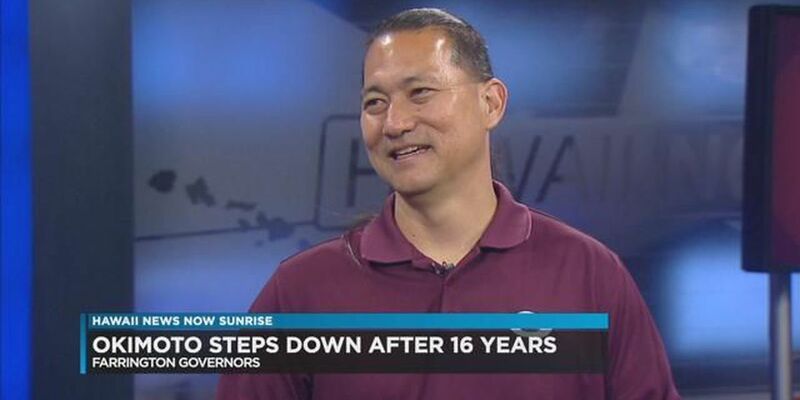 After 16 seasons as the head coach of the Farrington football team, Randall Okimoto is stepping down. 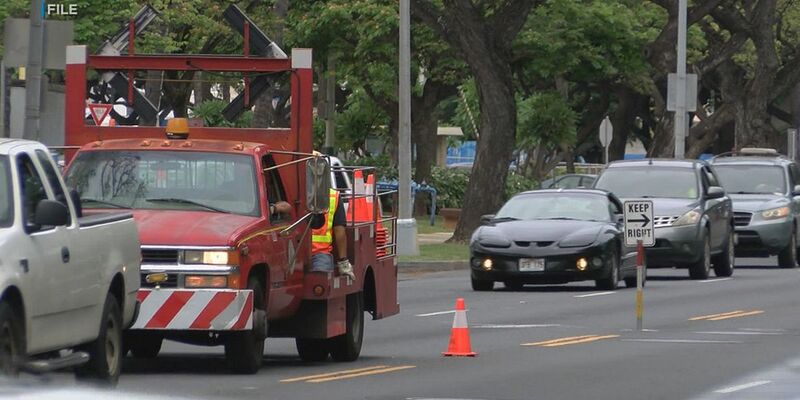 Parker School's powerlifting team should be nothing but proud of what they have accomplished in the Hawaii Island World Association of Bench Presser's and Dead Lifter's competition, which was held recently in Hilo. 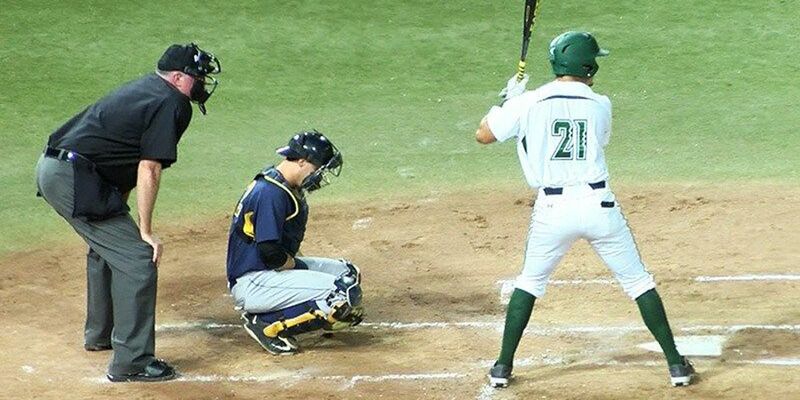 The University of Hawaii Rainbow Warriors (11-14) fell to Santa Clara (10-12) 3-2 at Les Murakami Stadium on Sunday afternoon to split a four game series between the two sides. Austin Fisher put the Broncos on the board first with an RBI double in top of the second. Santa Clara followed that with four runs in the third inning. Here are your scores from Week 13 of Hawaii High School Football. Here are your scores from Week 12 of Hawaii High School Football. Here are your scores from Week 11 of Hawaii High School Football.